to end the dog and cat meat cruelty! South Korea has a capital city, Seoul, and 6 metropolitan cities – Busan, Daegu, Incheon, Gwangju, Daejeon and Ulsan. Cities in South Korea are made up of multiple ‘administrative districts and we are petitioning each of them in turn beginning with the capital and metropolitan cities. Incheon and Gwangju are next. Click each of these districts below to take action now! Photo: Horrific condition of dog farm in Incheon, South Korea. KARA:Let’s shut down illegal dog farms together! 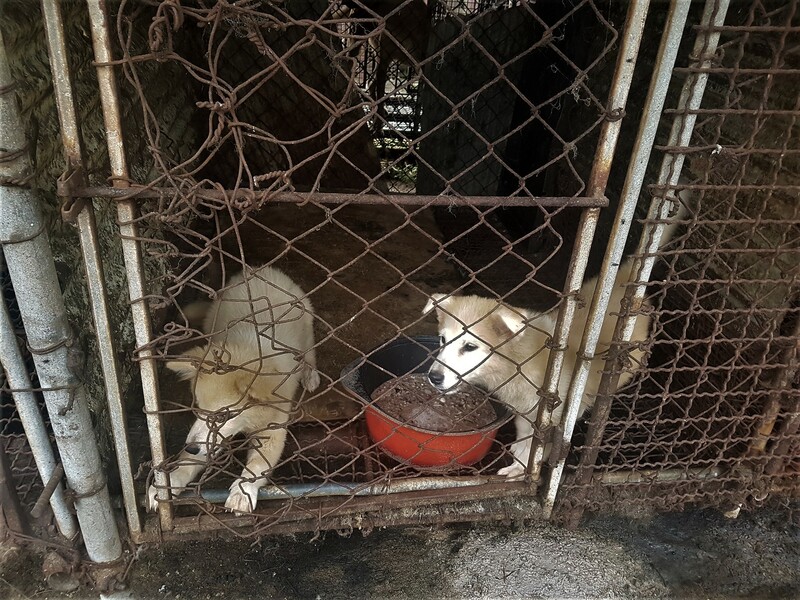 Korea Animal Rights Advocates (KARA) made it easy for people who finds dog farms to report them to KARA as well as to the Korean government. 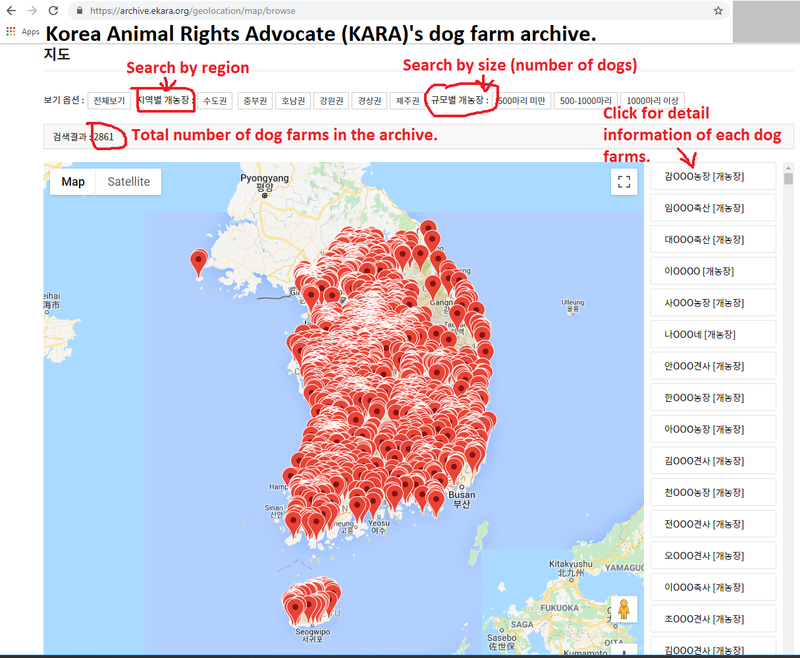 Now people can go to their archive of dog farms already registered with the Korean government and if the dog farm in subject is not there, they can submit information about that dog farm to KARA for further actions. We have translated that page so that perhaps if you live in Korea and don’t speak Korean you can still report the dog farms you find. 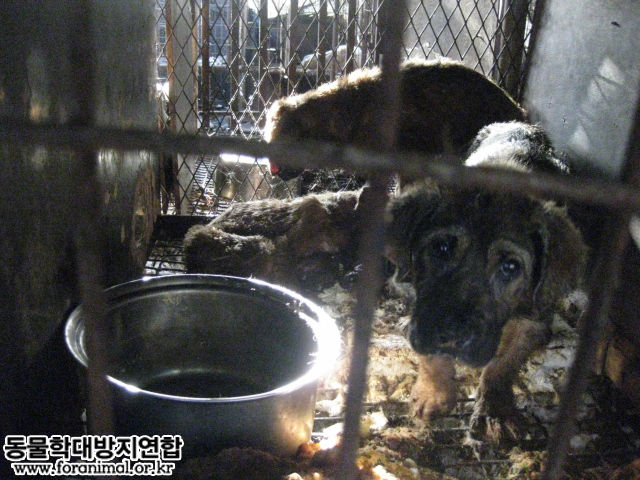 Photo: KARA’s dog farm archive, Korea Animal Rights Advocates (KARA). Dogs and cats have feelings just as we do. They feel pain, anxiety, fear and love us unconditionally. They deserve our love and respect.